Nexxus has introduced a new collection that combats the damage of city living. 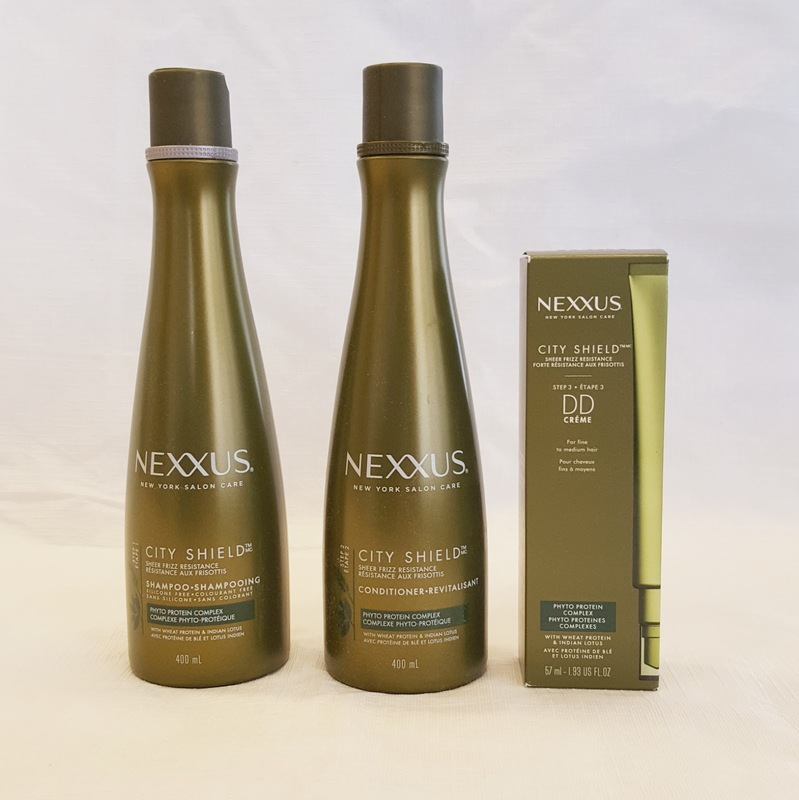 The City Shield collection offers a reinvigorating veil of protection against environmental damage, helps control frizz, makes your hair manageable and gives a natural-looking healthy shine. 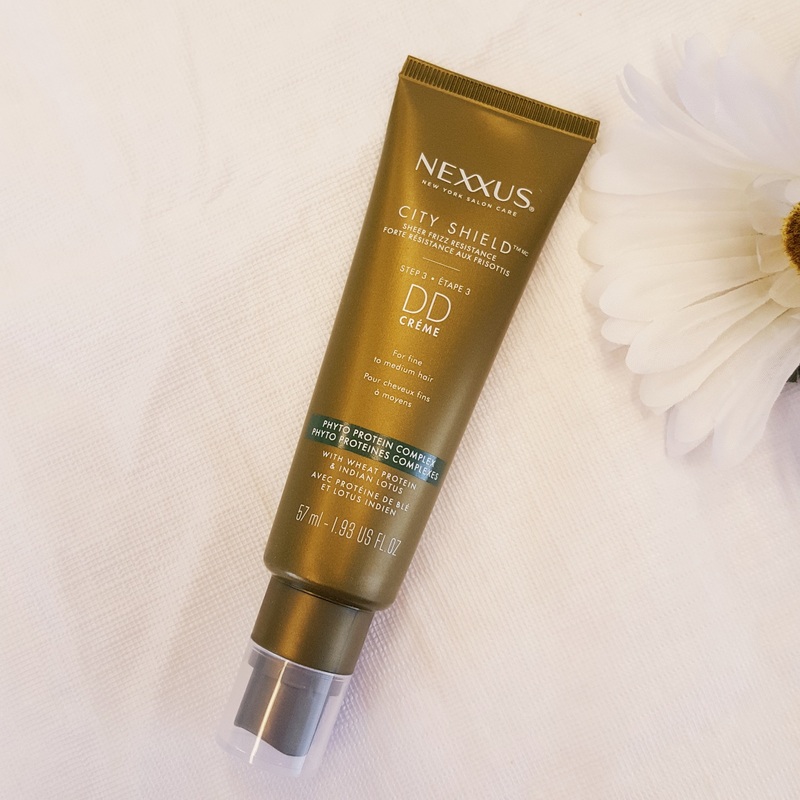 Smoothes and nourishes hair while restoring a protective barrier that helps to shield it from damage caused by the urnab environment. Using wheat protein for hair, the formula of this Nexxus conditioner for dry hair is designed to help moisturize hair, improve manageability and reduce frizz - all the while protecting your hair fro external aggressors and retaining plenty of natural movement. I found this conditioner quickly detangled and moisturized my hair. I had no problem at all getting my wide tooth comb through afterwards. My hair had fabulous shine the next day when I was brushing it out and virtually NO FRIZZ! Goal achieved! For me this is more a styling product rather than a leave-in conditioner. The first time I applied a quarter sized amount of product. It left my hair detangle but once I had fully air dried my hair, it felt very texturized. Very much like I had spritzed dry shampoo on my hair. I have conflicting feelings whether I like or hate that. My hair had body and was so easy to style but the ends of my hair were left pretty dry. So you will need to add an oil to the ends of your hair if you have dry hair like me. 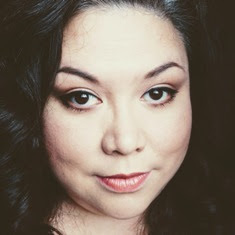 The next time I used it, I used less product and the textured feeling was considerably less. So a dime sized amount is all you really need. My hair did still look shiny the next day and frizz and static were significantly reduced. I had volume on the top of head which I normally have to work to get but a quick brush and flip and I had volume. So there goes the conflict. Nexxus has some great products. I personally love the Therappe and Humectress shampoo and conditioner. While the City Shield line left my hair pretty much frizz-free, it’s not my most favorite Nexxus product. The DD crème gave my tresses some great body and I was easily able to style my hair but I felt like it left a lot of build up in my hair. 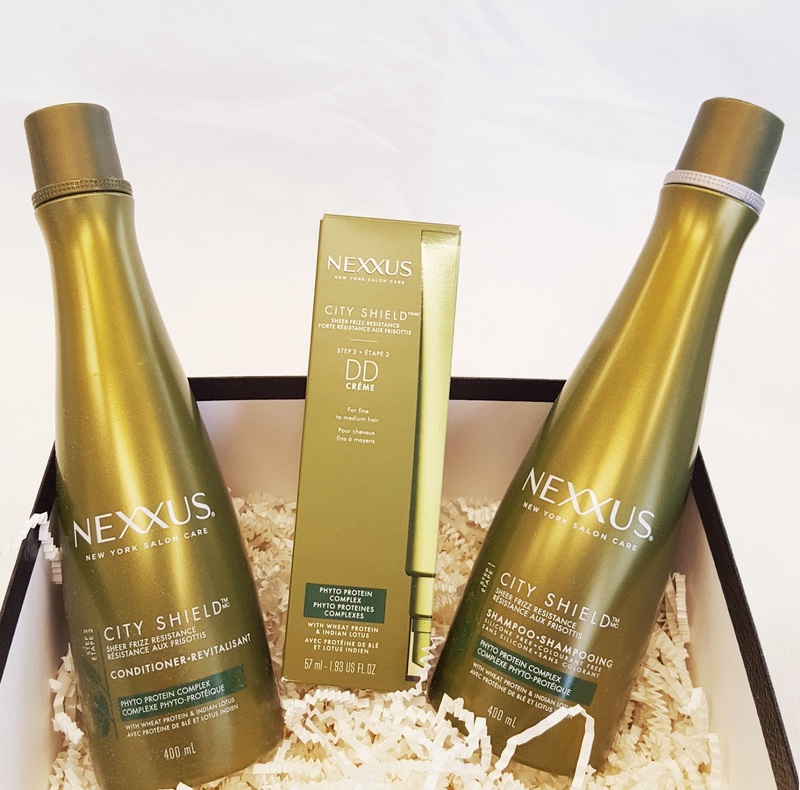 Have you tried the City Shield collection yet?